Mad Men cast and characters. Now in Season 4. AMC’s Mad Men, winner of three consecutive Golden Globes and back-to-back Emmys for Outstanding Drama Series, returns for a new season rife with possibilities. Last season stunned audiences with its cliffhanger finale, as Don Draper’s professional and personal lives unexpectedly imploded. This year, Jon Hamm and the rest of the breakout ensemble continue to captivate us as they grapple with an uncertain new reality. Welcome to a Mad New World. 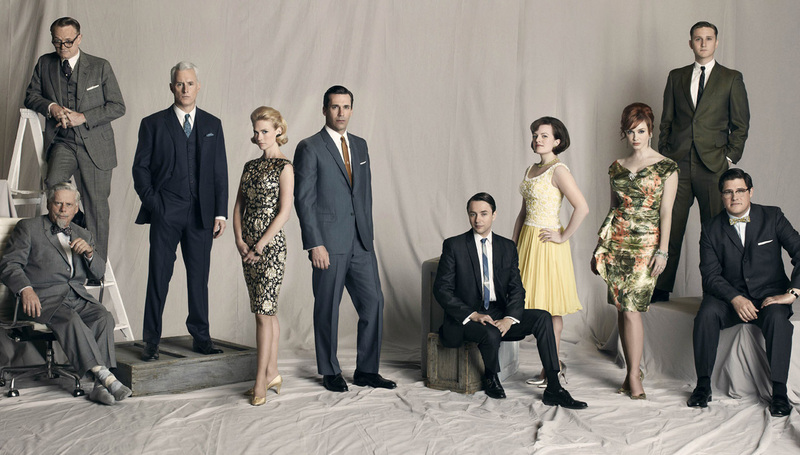 Created by Emmy and Golden Globe winning executive producer Matthew Weiner, Mad Men Season 4 is anchored by an award-winning ensemble cast, including Golden Globe winner Jon Hamm, January Jones, Elisabeth Moss, Vincent Kartheiser, Christina Hendricks, John Slattery, Jared Harris, Rich Sommer,Aaron Staton, Robert Morse and Kiernan Shipka. Find out more on the AMC official website.